The Foundation Year Program (FYP) can be the foundation for your university education in two ways. First, its curriculum of studying fundamental texts from the ancient to the contemporary world in an interdisciplinary and integrated fashion will give you important insight into the sources of much that shapes our own time. Second, its structure of lectures, tutorials and regular essay assignments means you will be equipped with crucial abilities of analysis, argumentation and expression. When you take FYP you will attend four lectures a week*, followed by a tutorial with 12-15 classmates. 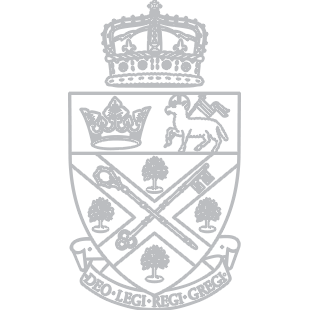 In your tutorial group, led by one of our full-time faculty members, you will discuss the texts and debate with each other in an intimate and supportive learning environment. Every two weeks you will write a paper about one of the texts you’ve read. FYP is equivalent to four full-year credits for first-year students enrolled in Arts, Journalism or Music degree programs; an abridged three credit version is available for Science students. No other university offers our approach to supportive and immersive learning. *Science students attend three lectures a week. 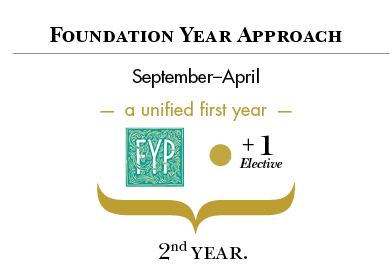 The Foundation Year Program ( FYP ) moves forward chronologically from the ancient to the contemporary world, exposing you to the fundamental works – in philosophy, history, literature, drama, and the natural and social science – that shaped, and were shaped by, the period of their emergence. The right books. At the right time. In the right company. Rather than reading books about – for example – the Ancient World or the Enlightenment, you read works written by people living in those periods. This approach challenges you to think about who these people were, how they saw the world in which they lived – and how their thinking and writing might help us understand our own world today. Want to read along? Email us at admissions@ukings.ca to request the accompanying reading excerpt. Credits: FYP Arts is 4 credits plus one elective. Elective: Arts students often take a science or language credit. These either fulfill degree requirements or are prerequisites for upper year courses in a given field. Second-year and beyond: Pursue a Bachelor of Arts major or honours degree in any of the programs offered by the Dalhousie-King’s joint Faculty of Arts & Social Sciences, including any of the King’s Honours Programs. Credits: FYP Science is 3 credits plus two courses in Science or Math that work for the subject you wish to pursue. FYP science students attend the same classes as other FYP students, however Thursday lectures are replaced by a science elective at Dalhousie. Electives: Science students are encouraged to take a science prerequisite and a math credit, or two science prerequisites. These either fulfill degree requirements or are prerequisites for upper year courses in a given field. Second-year and beyond: Pursue a major or King’s honours degree through programs offered by the Dalhousie-King’s joint Faculty of Science. Credits: FYP Journalism is 4 credits plus one elective: the Foundations of Journalism. Second-year and beyond: Pursue a Bachelor of Journalism (Honours) degree, and take a minor in any of the programs offered by the Dalhousie-King’s joint faculties of Science, and Arts & Social Sciences, including the King’s Honours Programs. Credits: FYP Music is 4 credits plus one applied skills course in music that prepares them for entrance into the music program. Second-year and beyond: Pursue a Bachelor of Music at the Fountain School of Performing Arts, and take a minor in any of the programs offered by the Dalhousie-King’s joint faculties of Science, and Arts & Social Sciences, including the King’s Honours Programs. 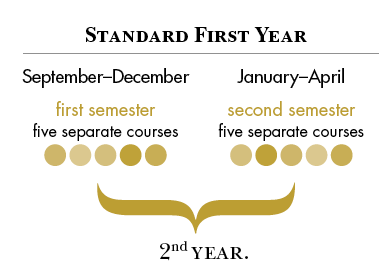 Students in the Foundation Year Program may be interested in First-Year Interest Groups (FIGs), interdisciplinary study groups that augment and expand your first-year curriculum. 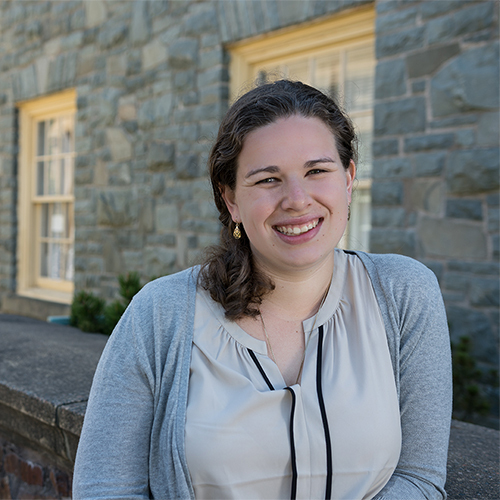 The Foundation Year Program has launched its own biannual newsletter, compiled with love by Assistant Director Susan Dodd and Administrative Assistant Elisabeth Stones, with contributions from many current and former FYP professors.